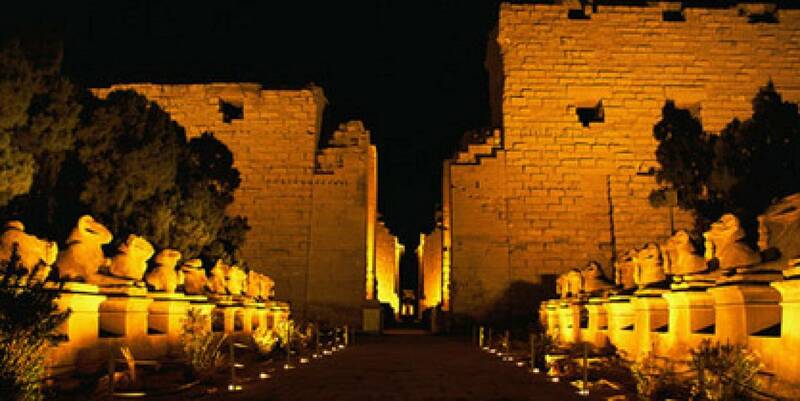 Evening Sound and light show at Karnak temple using spectacular multimedia presentations while history of the temple is being narrated. 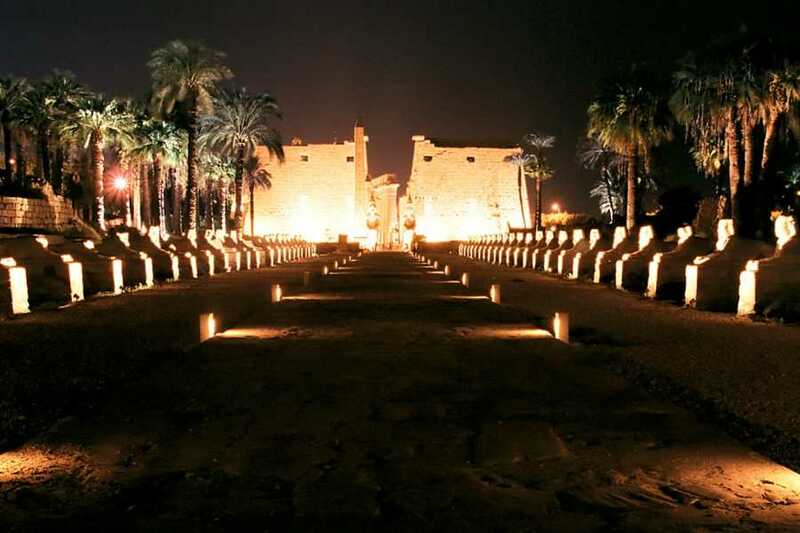 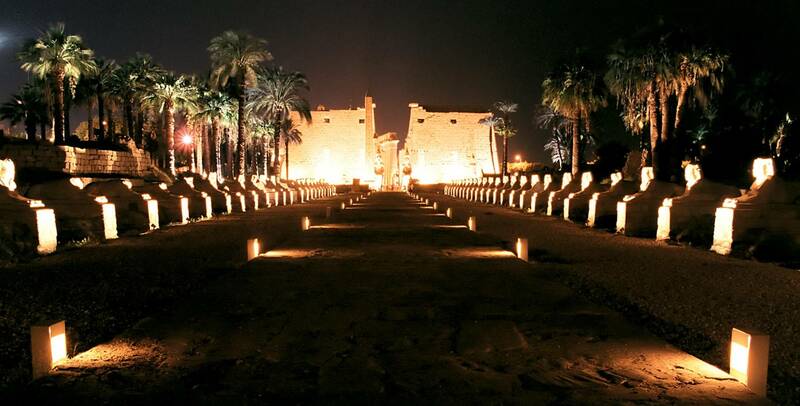 Pick up you from your hotel in Luxor to visit Karnak temple for a spectacular Sound & Light show. 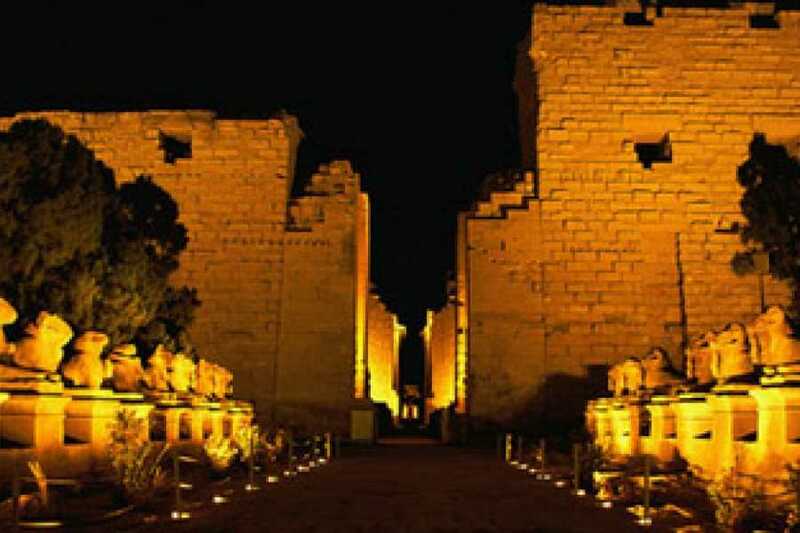 You will see the Temples of Karnak illuminated at night; the visual effects as well as dramatic commentary make for an unforgettable evening. You will attend the spectacular Sound and Light production. 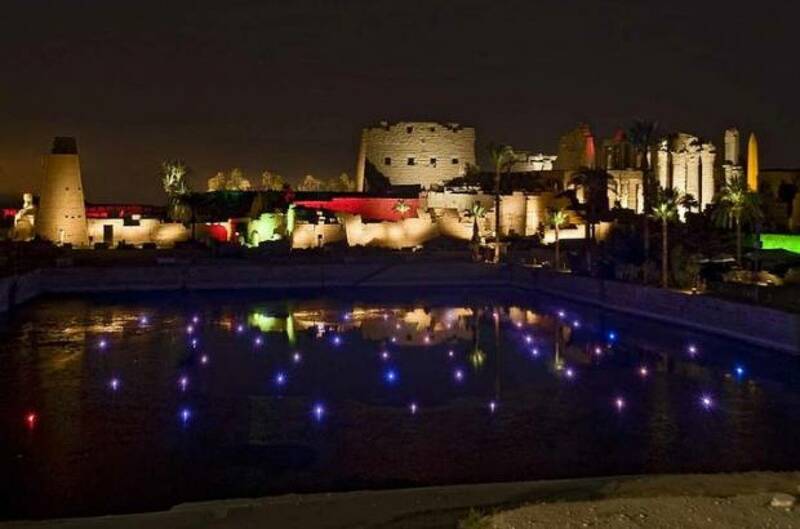 This spectacle will take about 60-minute where you will be taken around the temple grounds, and finally the last act is played while you are seated along the Great Sacred Lake.